New Delhi , April 15 (IANS): Dinesh Karthik has beaten Rishabh Pant in the race to become the second wicket-keeper in the Indian team for the upcoming World Cup in England and Wales. The five wise men of Indian cricket, led by M.S.K. Prasad, met in Mumbai on Monday and picked the 15-member squad. 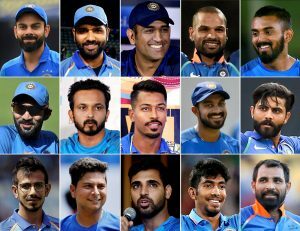 Vijay Shankar goes to the showpiece event as the number four batsman and Ravindra Jadeja has been picked as the third spinner ahead of a fourth pacer. KL Rahul joins in as the back-up opener.